Steven (Chicagoland, United States) on 6 July 2017 in Plant & Nature and Portfolio. Photo captured July 5, 2017.
de bien jolies couleurs dans ce beau cliché Sreven..
this is beautiful...the buds and blossoms ! Very pretty flower and love the lush green foliage surrounding it! Une très belle lumière sur ces hostas !! A beautiful flower, very elegant. Very beautiful with a superb light ! The way you used the light, and the point of view create a lovely elegance. Quelles fleurs blanche et finess equel rendu blanc et vert superbe. A superb hosts picture with excellent detail and color. Impressive picture. A gorgeous shot of the blooming plant. Lovely color contrasts. 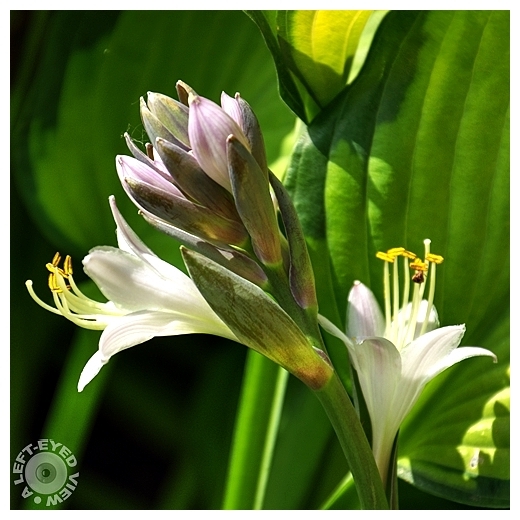 What does a beautiful flower come from this hosta? Belle lumière et bien cadrer. A gorgeous image! This is just beautiful! Fabulous color and detail. This is Oh So Pretty! Lovely light you've captured! This has a lily feel to it, Steven, doesn't it. I especially like the ones ready to bloom.